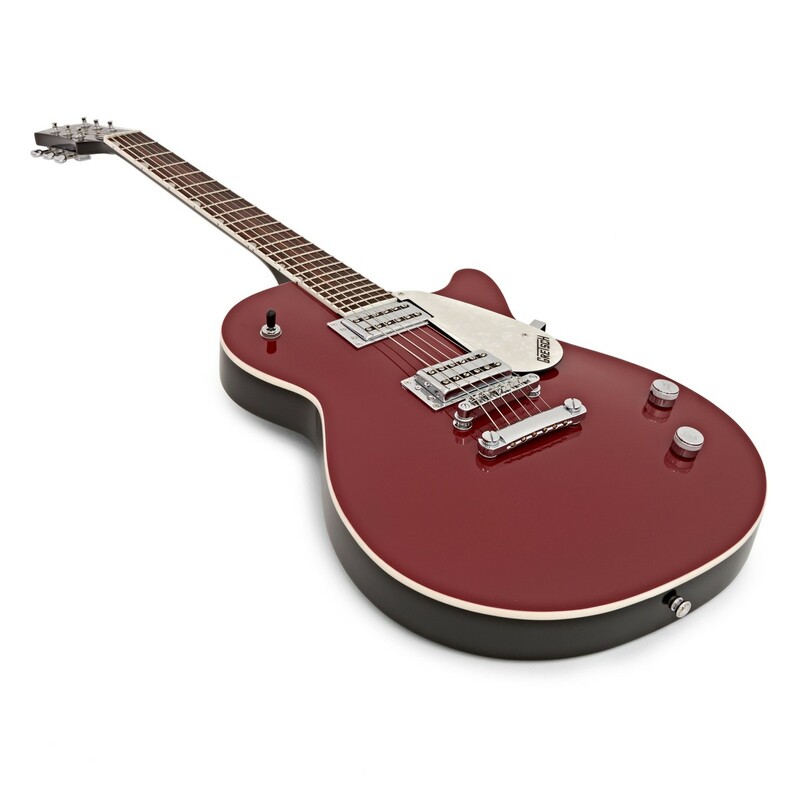 Electromatic Jet Club models feature arched maple tops with chambered basswood bodies and bolt-on maple necks with rosewood fingerboards. 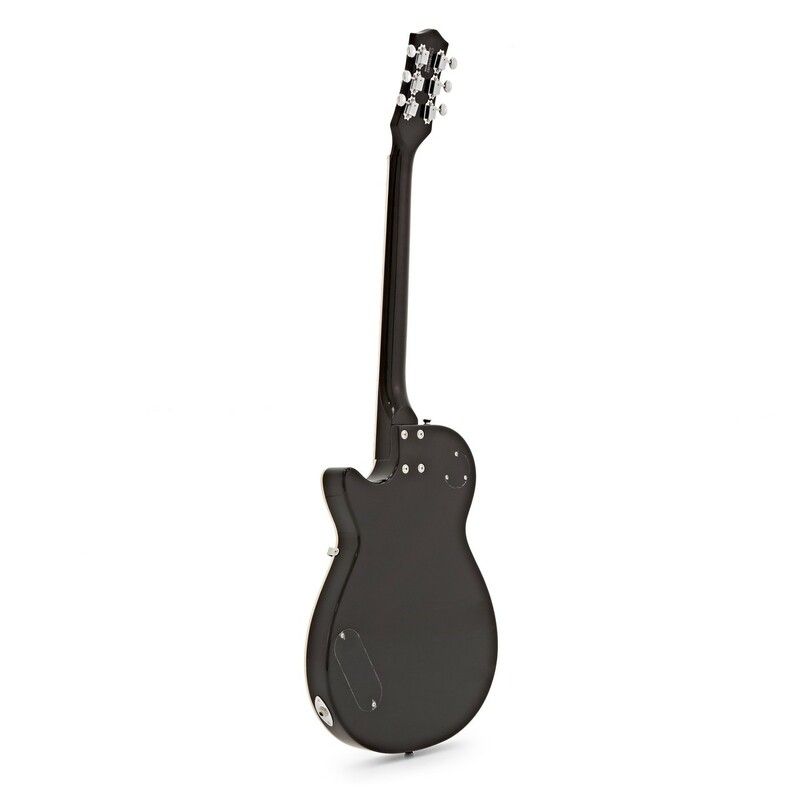 With a single-cutaway chambered basswood body with an arched maple top and a two-tone body color scheme (Black or Silver top with Walnut-stained back and sides). 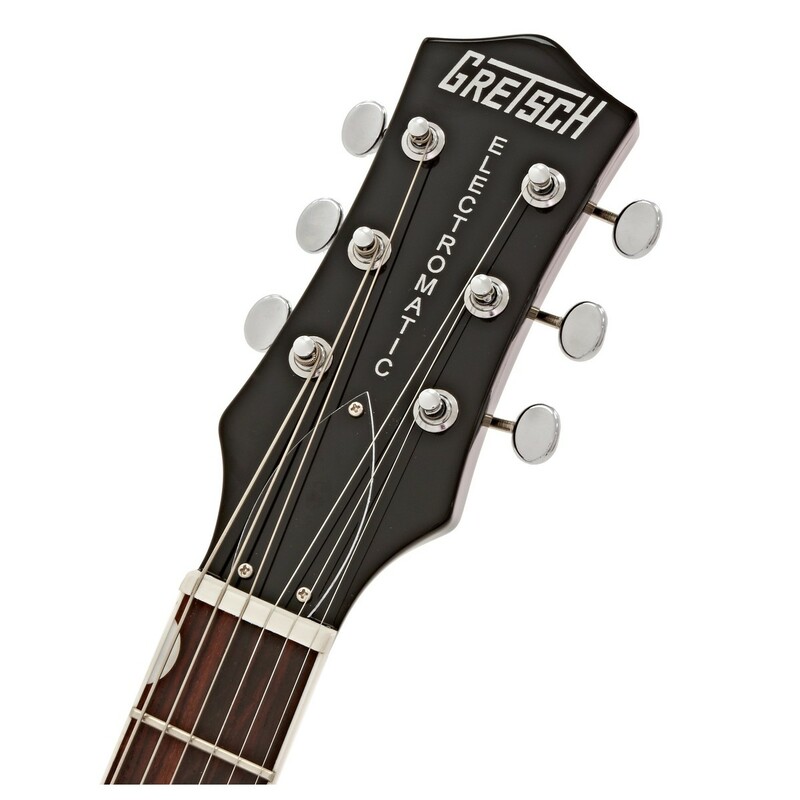 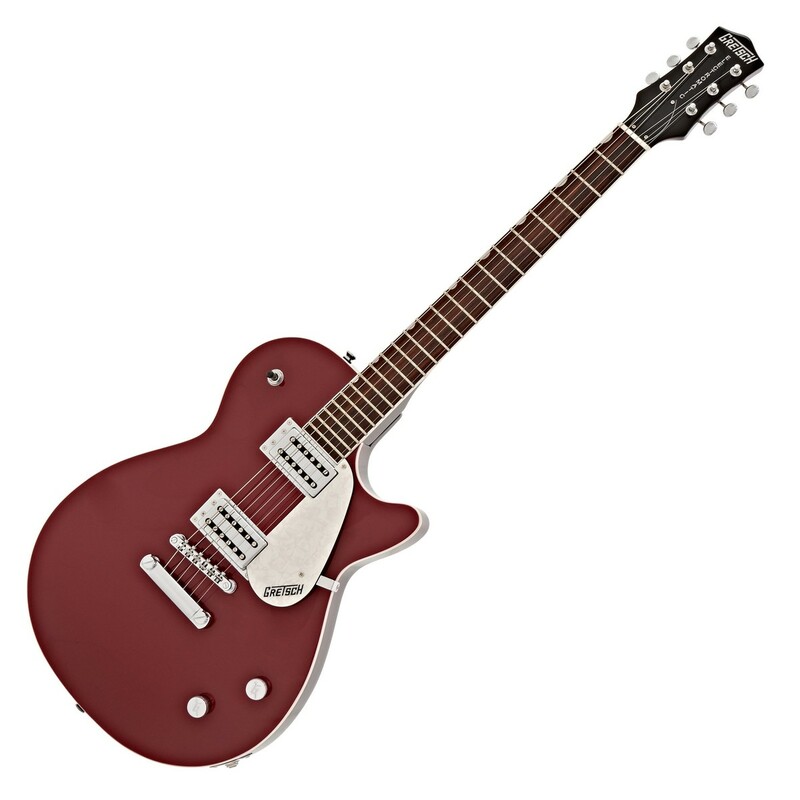 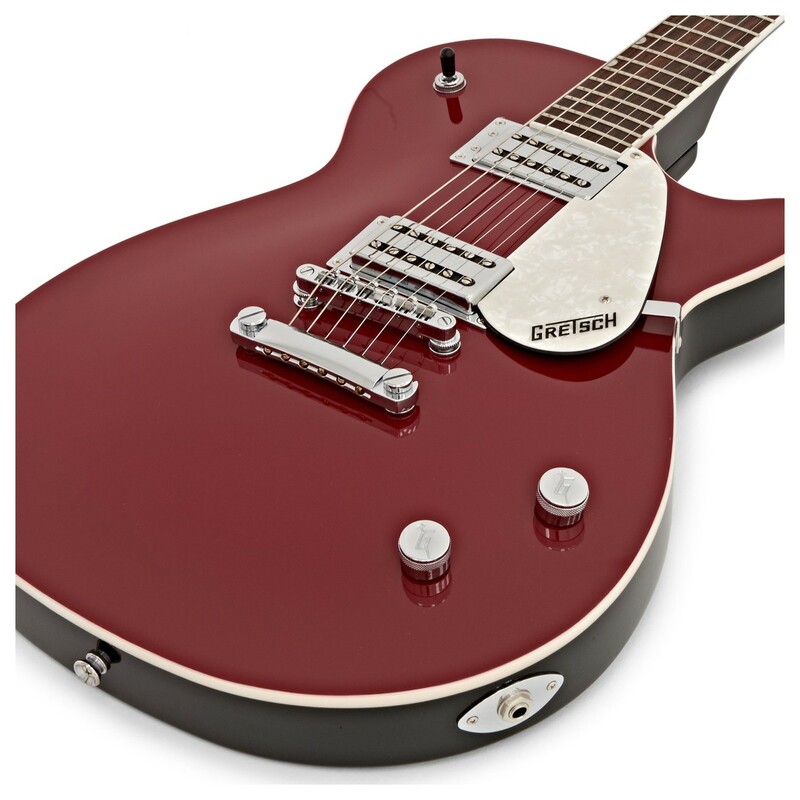 Features include Gretsch dual-coil humbucking pickups that ensure luscious tone, 22 medium jumbo frets, anchored Adjusto-Matic bridge and stop tailpiece that ensure vibrant sustain, Neo-Classic "thumbnail" fingerboard inlays, "G" arrow knobs and white pearloid Gretsch-logo pickguard.